I recently received a question on my Facebook page regarding how earned income affects social security income. This is a great topic I felt worthy of sharing for those facing or considering retirement. Generally, there are limits to how much a Social Security beneficiary can earn while still working and being younger than the full retirement age. Full retirement age was 65 for many years. However, beginning with people born in 1938 or later, then that age gradually increases until it reaches 67 for people born in 1960 or later. For example, the full retirement age for people born in 1943 through 1954 is 66. Benefits are reduced if earnings exceed certain limits. In the year you reach your full retirement age, your benefits will be reduced $1 for every $3 you earn above the earnings limit. In 2012, the limit is $38,880. Starting with the month that you reach full retirement age, you can get your full benefits no matter how much you earn. Some payments are considered EXEMPT towards the earning limit. For example, if your brother-in-law receives a check for leftover vacation pay EVEN AFTER he begins receiving social security benefits, that income does NOT count toward the income limit, because he actually earned it BEFORE he retired. This is considered a ‘special payment’. Other examples of ‘special payments’ include, sick pay, severance pay, back pay, commissions, retirement payments, or deferred compensation reported on a W-2, but earned in a previous year. 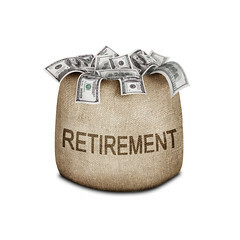 Sometimes people who retire in mid-year already have earned more than the yearly earnings limit. That is why there is a special rule that applies to earnings for one year, usually the first year of retirement. Under this rule, you can get a full Social Security check for any whole month you are retired, regardless of your yearly earnings. On the day he retires, he will receive his social security benefits from that point forward as he normally would at age 62. He will certainly not receive a full year of social security benefits as he wasn’t retired for the full year. His social security benefits will simply begin and he will receive his monthly social security income from that month forward. Again, be sure to let him know that it is completely fine if he receives back-pay or unused vacation pay at any time after retiring. In 2012, a person under full retirement age for the entire year is considered retired if monthly earnings are $1,220 or less. For example, John Smith retires at age 62 on October 30, 2012. He will make $45,000 through October. After this he takes a part-time job beginning in November earning $500 per month. Although his earnings for the year substantially exceed the 2012 annual limit ($14,640), he will receive a Social Security payment for November and December. This is because his earnings in those months are $1,220 or less, the monthly limit for people younger than full retirement age. If however, Mr. Smith earns more than $1,220 in either of those months (November or December), he will not receive a benefit for that month. Beginning in 2013, only the yearly limits will apply to him. I hope you pass this on. Tell him to feel free to call or better-yet, post it on my Facebook page (http://www.facebook.com/cparobbins) if he has additional questions to his specific situation. There are many others that have similar issues, and may appreciate the information online there as well. Thanks again for the great topic question, Linsey.